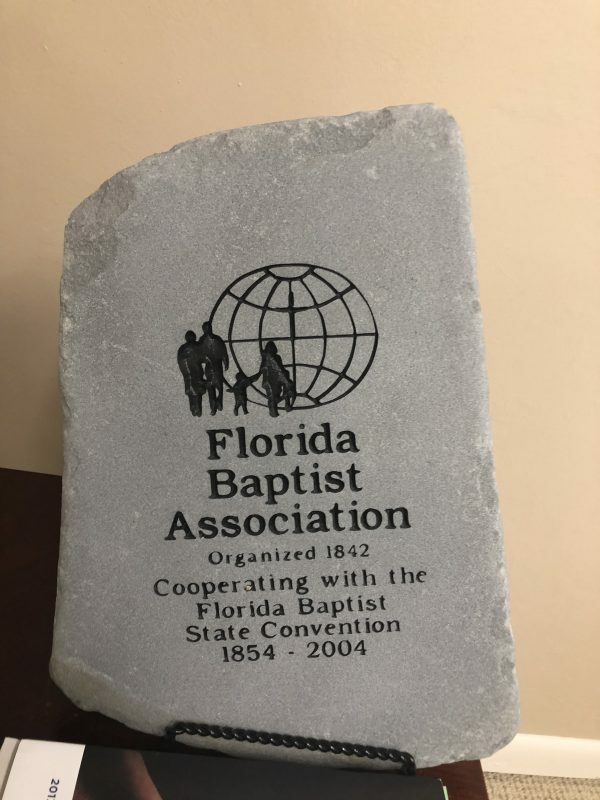 With a genesis that predates the Southern Baptist Convention and the Florida Baptist State Convention, the Florida Baptist Association is celebrating its 175th anniversary this year. The first organizational meeting was held in 1843 at Indian Springs Baptist Church, a church that is still a member of the Association today. Ten churches came together for the first organizational meeting of the Association and three of those churches are still part of the Association today: Aenon Baptist Church and Indian Springs Baptist Church in Tallahassee and Ebenezer Baptist Church in Monticello. The Florida Baptist Association’s first annual meeting was made up of representatives of 17 churches and held in October 1843 at Ebenezer Baptist Church in Monticello. This historic meeting became the starting point for the cooperative work of Southern Baptists in the state of Florida. Even before Florida was officially a state in 1845, Florida Baptists were working to find ways to advance the Gospel. On November 29, 2018, the Florida Baptist Association hosted an open house to celebrate the 58 churches that are now cooperating to advance the Kingdom of God in our state. With a rich history that includes the start of the Florida Baptist State Convention, the Florida Baptist Association is still working to strengthen area Florida Baptist churches and make much of the name of Jesus in this area of the Sunshine State and beyond. Just ten years after the Association began there were 40 churches that wanted to be a part of what God was doing in Florida, including churches in Leon and Madison counties as well as Apalachicola and Jacksonville. As the movement grew, there became an awareness of a need for a Florida Baptist State Convention. When the state convention began, there were still only three associations. Today with 58 churches in the Association, McMahon is optimistic about the future of not only the Association he serves, but the work that Florida Baptists are doing around the state, around the nation and around the world.